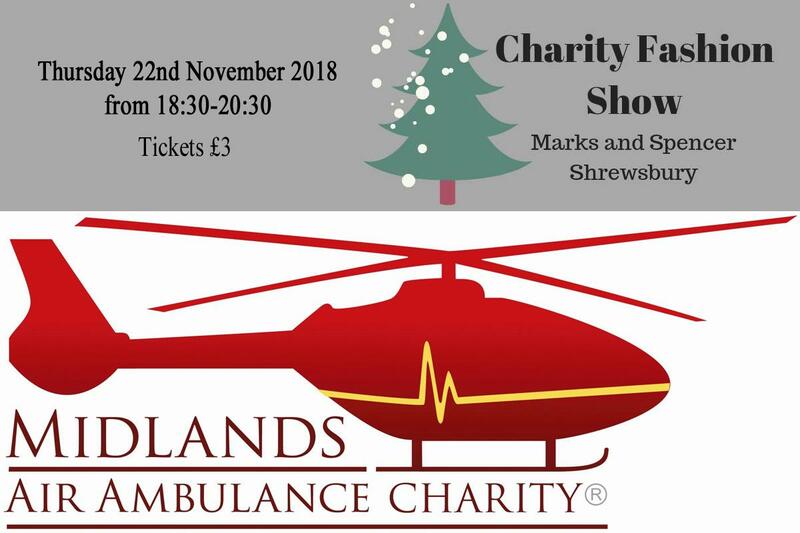 Organised by Rebecca Furber, a former RYLA candidate from The Marches school sponsored for RYLA by the Whitchurch Rotary Club, this evening will raise funds for the Midlands Air Ambulance Charity. We are holding an exclusive event in store where you will be greeted with a glass of bubbly/ non-alternative on arrival, be inspired by out festive themed fashion show, food tasting, raffle and an out of hours shopping experience with us. Tickets cost £3 each which raises money for the charity Midlands Air Ambulance. Tickets are available to purchase in store at the womenswear collection point until Thursday 15th November. Limited places available. Get your diary out now!